Former Mossad agent and MK says Europe inviting terrorism by opening borders to masses of Muslim immigrants. Legendary Mossad agent and former MK Rafi Eitan told a European audience that the European Union (EU) should halt Muslim immigration into Europe. 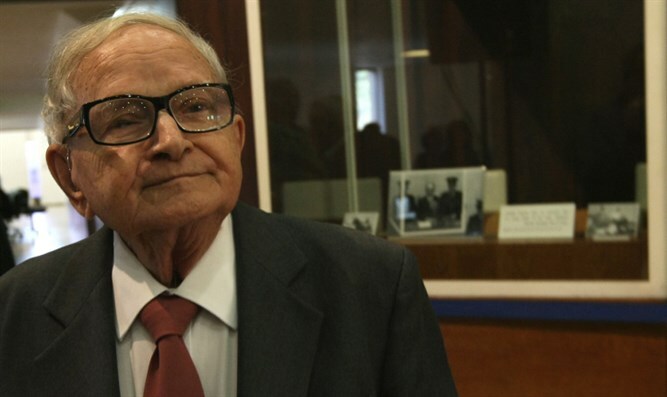 Eitan, one of the agents who captured Nazi war criminal Adolf Eichman, was invited to speak in Austria by the populist Freedom party. He spoke of the dangers of open borders and the growing terrorist threat that is the consequence of letting masses of Muslims immigrate without being able to integrate them. He warned that Germany and Austria would become a Muslim countries if present policies of welcoming Muslim refugees continue. Eitan was joined in Austria by the former head of the Herut party in Israel, Michael Kleiner, who also called on European countries to change their immigration policies. Kleiner said of the terrorist threat crisis that "You cannot kill thousands of mosquitoes. You have to drain the swamp. He added that Austria cannot simply deal with individual terrorists but mist be aware of the global terrorist threat. Speaking of Europe's immigration crisis, Kleiner said that if too many immigrants from the Middle East and North Africa come to Europe the result would be more incidents like the incident on New Year's Day,2016, across Germany, when hundreds of women were sexually assaulted by migrants.